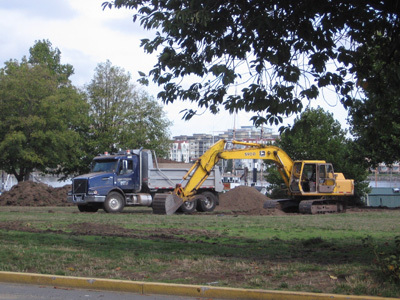 Work began in September on Phase 1 of the re-development of Fisherman's Wharf Park in the northwest corner of James Bay. What has been primarily a sports field will be transformed over the next six months into a place where people can wander through natural areas, or sit quietly and appreciate views of the harbour. To view older issues of the Beacon online click here.